You can travel from Athens airport to the city centre using three different means of transport; metro, bus and taxi. The cheapest transfer option is the public bus, at only 6€ per person for a one-way ticket. The fastest option is an Athens airport taxi, which comes at a cost of 38€ per ride. Another means of transfer is the metro, which leaves every 30 minutes and costs 10€ one-way. Welcome Pickups offers meet and greet services and a friendly introduction to Athens at the same price as a regular taxi. Click here to see the cost. Getting an Athens airport taxi to the city centre is definitely the fastest and most convenient transfer option. Taxis are readily available outside of the arrivals terminal, and only take 25 minutes to reach the city centre. During the day a taxi will cost you 38€ and at night 54€. Please be aware that there are both yellow and black cars waiting outside of Athens airport. The black cars are actually 'private hire' and can cost up to twice as much as the standard yellow taxis. There is a flat fee for routes going from Athens airport to the city centre ring. During the day (05:00 - 24:00) the price is 38€ and at night (01.00 - 04:59) it is 54€. If your final destination is outside of the city ring, you will be asked to pay what is on the taximeter. *It is recommended to book your Athens airport transfer in advance in order to save time and to ensure that there are no communication issues with the drivers. Simply jumping in the back of a comfortable taxi is what everyone wants after a day of traveling. You have someone to load your bags in the trunk, drive you directly to your destination, and help you with your luggage at the other end. All you need to do is sit back and enjoy your transfer. Yes, taxis are reliable and more comfortable than the metro or bus. However, you still must wait in a queue for your taxi and ask the driver if he knows the address of your hotel. This can be a problem as not all taxi drivers in Athens speak English. According to Greek law a taxi can carry a maximum of four people at a time, including children. The metro line departs from Athens airport every 30 minutes (05′ and 35′), and costs 10€ one way or 18€ for a round-trip. The journey takes around 50 minutes, but there are no trains after 23:35. Although the Metro is one of the cheaper options, it isn't the most reliable transfer. How much is the metro from Athens airport to the city centre? A one-way ticket from Athens airport to the city centre costs 10€ and a round-trip ticket costs 18€. Children under 6 years old can use the metro for free. The Athens airport metro station is just a 10-15 minute walk from the arrival gate. You will have to follow the signs to cross the street, ascend one level via either elevator or escalator, and cross over the pedestrian bridge. If you are arriving before 23:35, then the Metro is fairly convenient. You will still need to walk 15 minutes from the arrivals gate and wait around 30 minutes for your train, but it's a reasonably fast mode of transportation. The Metro is fairly fast and modern, but you won't be able to see many views of the city while traveling. There is also a question of safety on the Metro when traveling in rush hour. Taking a bus from Athens airport to the city centre is the cheapest but not necessarily the most convenient option. Tickets cost only 6€, but buses can take up to 60 minutes to leave the station. Buses run 24/7 including holidays, and will take around 55 minutes to reach the city centre. 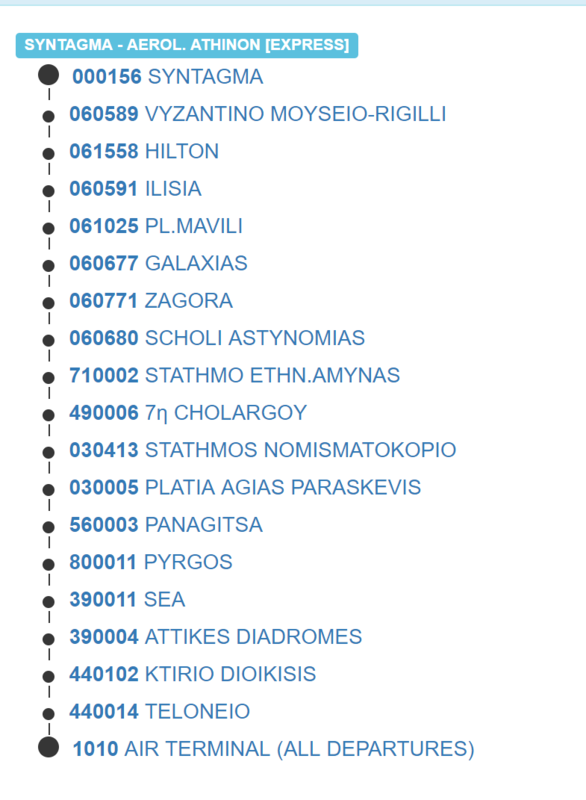 How much are the buses from Athens airport to the city centre? The cost for any bus transfer is 6€ for adults, and 3€ for children or students aged 7-18 and seniors over 65. Children under 6 years old travel for free. Tickets must be purchased at the ticket kiosk in the bus departure area just outside the airport. Buses can very easily be found at the bus stand, which is located between exits 4 and 5 of the arrivals terminal. Taking a bus from Athens airport to the city centre is by far the least convenient mode of transport. Due to the city’s old road network, you can expect substantial delays and lots of standing around in queues holding your luggage. However, the buses do run 24/7, so if you arrive after 23:35 and want a cheap mode of transportation, it may be a good option for you. Haven’t we all travelled on a budget? Sleeping in hostels, backpacking, taking one bus after another. For many, me included, buses are sort of nostalgia... they remind us of our youth. But perhaps now, we would like a bit more comfort when discovering a new city? 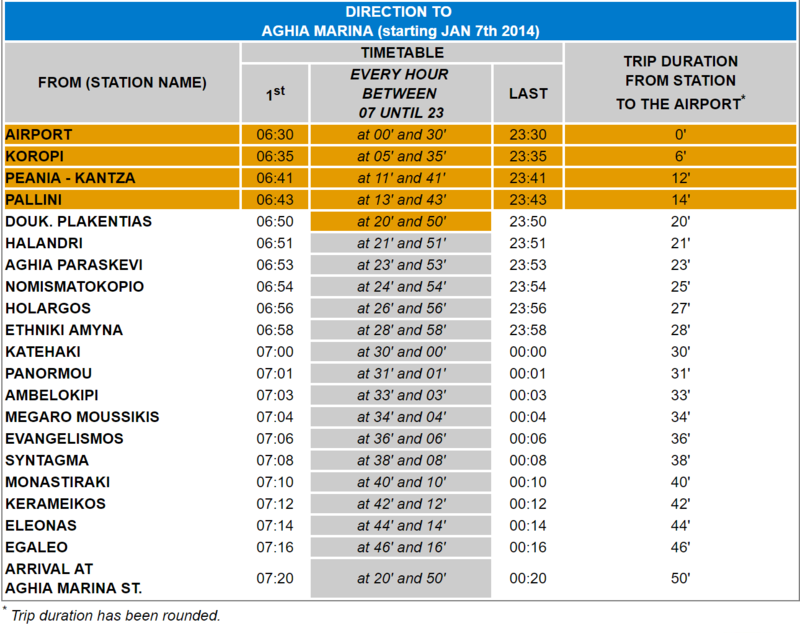 How long does it take to get from the Athens airport to city center? Athens airport is reasonably close to the city centre. The journey is around 35km long, so it shouldn’t take longer than 25 minutes by car or taxi. This is assuming there is little to no traffic. How much is taxi from Athens airport to city? Taxis at Athens airport are charged at a flat rate. It will cost 38€ to take a taxi in the daytime and 54€ at night. However, if you are traveling outside of the central ring, the taxi will be charged by a taximeter that calculates the fee depending on distance. How far is Athens airport from the city? Athens airport is fairly close to the city centre, only 35 km. If you are travelling by car or taxi, it shouldn't take you more than 30 minutes to reach your destination.